Plan menus ahead. I have spoken about that in several blogs. You don’t have to stick with a particular day (except for those pesky holidays). Check before going shopping you have what you need for the next few days (until you go again). Don’t be afraid to change things if something good comes alone (like fresh corn on the cob or asparagus under $3.00) or they don’t have what you need. I go to Hannaford’s on Monday and Walmart on Thursday (they each have things I can’t get at the other and many things that don’t matter). The idea is to keep stress to a minimum. On the day’s I go shopping or have doctor’s appointments. I plan either sandwiches or main dish salads. Most of these can be on the quick side. Leftovers are can also be easiest. Make them new if possible. Comfort Cooking #( and #15 we talked about the wonders of left overs. The other day I had left over Cornish hen halves (so sweet glaze). I made a quick barbecue sauce, Molasses Lemon BBQ Sauce. Poured it over and baked at 375 for a half hour and they were awesome. Cover the pan in foil; make steamed broccoli with lemon butter and a green salad and it was so good and easiest. Spring through Fall we do a lot of main dish salads. 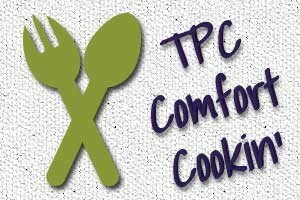 TPC Comfort Cooking #3 gives a lot of information of main dish salads. For the most part these fall under the easiest category. If you have the time, cook ahead items like potato salad or rolls are great. I also make salad dressings then as well. It divides the labor and time up, it is great to start marinating meats, and you can wash up. I start dinner 2 1/2-3 hours ahead of time (unless I have something in the slow cooker or a meal which takes a while). I only want to have to wash one pan (my pots and pans get washed by hand) so if the rest of meal wasn’t premade I want to use disposable things like microwave steamer bags (I love those things). Pans I cover with a double layer of aluminum foil. It is also important to keep prep dishes down to a minimum as well. I have to sit down and rest about every 15 minutes. I read while I recover my breath (I get very SOB easily because of a heart problem) and my back unclenches. I have learned not to push it either. Getting one more thing done is ultimately not worth it. My kitchen is small so it is more stressful for me to have someone else in their but if yours is big enough, require help if possible. Remember if you aren’t up to “easiest” and no one else will cook (or can cook) take out is great. Some of my favorite tools are cookie and scone scoops. They are like ice cream scoops only in measured sized (I have 1 tsp., 2 tsp., 1 Tbsp. and ¼ cup. They make cookie making very easy but I use the little ones for making it easier to spread a topping on a casserole (we are moving up to easy and moderate here), as well as meatballs. The scone scoop in perfect for muffins (my usual use) and cupcakes. I have used it occasionally to make patties as well (dropping them onto waxed paper). A tool that really needs to be part of your cooking arsenal is a splatter guard. 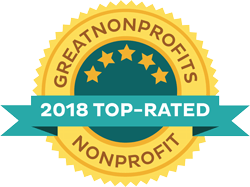 I got mine at the Dollar Store so it is not an expensive piece of equipment however it helps so much in the cleanup department. I don’t fry but I do brown meats and occasionally cook thing like ground beef or marinated vegetables in a skillet-the moisture causes the oil to splatter even if it is just a small amount. That increases the amount and difficulty of clean up on the stove so even if the splatter guard doesn’t prevent it entirely, it is a huge help. I have so many recipes set aside to share – I am just going to go for it today. I absolutely love this side dish. My mouth is watering even as I put this into the blog. It originally came from a 2014 Taste of Home and has be modified by me. I use either fresh green beans (steamed or canned. You could use frozen ones as well, steaming them as well. You can buy fresh green beans already trimmed and in a microwave bag at the store. Yes, this is more expensive, however “easy” is worth every cent. Melt butter in skillet. Add seasonings and tomatoes and sauté until they begin to burst. Ad green beans and heat until green beans are hot again. Here is a family favorite for over 40 years. It s original is a clipping which looks like Good Housekeeping, Family Circle, or Woman’s Day. You should use the splatter guard with this as ground beef in a patty tends to “spit”. Ground beef used to be “the” budget meal (which is why things like “Hamburger Helper. Now pork is much cheaper and chicken is usually as well. Still good for an “easy” meal. Mix first 4 ingredients together handling as little as possible. Melt butter in skillet and sauté until well done. Remove to warm platter. Add ¼ cup of water to skillet plus mustard and Worcestershire sauce and heat scraping up browned bites. Pour (or spoon) over patties. Fall is in the air and it is apple time. The recipe was originally in Cook’s Country September 2006 however I have “adapted” it so much it barely resembles that recipe. I like to use Cheddar Curds (actually I love to eat Cheddar Curds period). A local farm makes them and sells them at our supermarket. Any cheese crumbles or small cubes would work as well. You can get the smoked turkey at the deli however I have used ham when it wasn’t available. Very easy. Whisk honey into red wine vinegar. Add cherries or cranberries and cover measuring cup with plastic wrap (cut some vents in it)and microwave 1 minute. Whisk in oil, salt, and pepper. Cool to room temperature (if you put in refrigerator, oil will solidify). Divide lettuce on 4 plates. Divide remaining ingredients between plates, then add dressing to each. These are indoor burgers, quite tasty. Original recipe was in a cookbook called Seasonal Florida (1994). It has been of course adapted to my family and me. I use 1 1/2 lbs. ground beef for 6 burgers; if you like big thick burgers go with the 2 ½ lbs. I find using my ¼ cup scoop helps me divide the meat much easier. I consider this “moderately easy” as it has two pans to wash., but upgrade to “easy” if you just use one pan and wipe with a paper towel between burgers. Divide meat into 6 patties and place of waxed paper. Fry bacon in large heavy skillet. Drain on paper towel and leave enough bacon grease in pan to coat bottom of pan. If using second skillet transfer some of the bacon grease to it. If using just one skillet save a couple of Tbsp., for later. (save remaining grease for another day or discard). Sprinkle bottom of pan with kosher salt (lightly). Sear the patties for 1 minute (3 patties at a time) Flip patties and sprinkle each with 1 tsp. each with soy sauce, Worcestershire sauce, and lemon juice. Tuck ¾ cup of onion between patties. Reduce heat to medium low and cook another 3 minutes on each side. Top with cheese, cover pan, and heat until cheese melts. Remove burger and onions to a plate and keep warm. If using one skillet, wipe out skillet with paper towel and repeat with remaining 3 burgers and onions. Slice rolls in half and smear cut side with butter. Broil on foil lined pan until lightly browned. Smear with mayonnaise and catsup and stack with burger, onions, bacon, lettuce leaf tomato, tomato, and pickles. Careful as these do drip! This can be used as a salad or a vegetable. More of an adult dish than most of the things I fix. The original recipe was on the Food Network, downloaded in 2014 and adapted to my tastes. Use cremini, shitake, oyster, and/or baby “bells”. My supermarket has a package of the first three together. If small don’t bother to slice. If made ahead of time just heat the mushrooms and dressing in the microwave for 30 seconds (just warm). Easie, peasie. Put greens in salad dishes and set aside. In large sauté pan over medium high heat melt butter. Add onion and garlic and cook 2 minutes. Add the mushrooms and sauté until tender and caramelized, about 4 minutes. Season with salt and pepper. Stir in vinegar. Let cool to warm. Divide onions, mushrooms, and dressing among salad bowls pouring over the lettuce. This is an anytime of the year salad. Although it was in the beginning from a “Jell-O” cookbook, I don’t use store bought gelatin mixes because of the food coloring. The book was a Favorite Brand Names” I Could Go for something Jell-O” (2000). As for the berries, I use a bag of the frozen “antioxidant” frozen berries and cherries. I do not usually have soft drinks at home (except for ginger-ale for sickies and the occasional drink I use for cooking). But we do have an assortment of the flavored seltzer drinks (no sugar). I rarely have any left over for the next day. Grandpa and the girls will fight over what’s left after dinner. In a large bowl place cranberry juice. Add gelatin (no need to stir) and let stand 5 minutes. Add 1.4 cup sugar and heat in microwave stirring every 1 ½ minutes until gelatin is dissolved (usually takes les than 3 minutes). Add lemon juice and seltzer. Refrigerate about 1 hour. Stir. Add berries stirring (gelatin will firm up quickly as the berries are frozen. Place in mold or container with lid (I use a large rectangle one as then I can put stuff in on the lid in the refrigerator). Let firm up another hour or so. 2 medium sized baking potatoes peeled and thinly sliced (I have left the peel on as well) 10-12 ozs. Soak potatoes in large bowl of cold ware for at least 10 minutes. Preheat oven to 350 degrees. Sprinkle thighs with ¼ tsp. thyme, 14 tsp. salt, and freshly ground pepper. Drain potatoes well. Using shortening coat 9” x 13” baking dish well. Layer potatoes, carrots and onions seasoning each layer with ¼ tsp thyme, ¼ tsp salt, and ground pepper. Sot with butter. Arrange chicken on top. Pour cream over chicken. Sprinkle lightly with paprika. Bake 60-70 minutes. Another fall-ish recipe. The original recipe comes from Pillsbury’s Creative Cooking in Minutes (1971). To easily cut acorn squash in half, heat in the microwave for 1 to 1 ½ mutes and then use a sharp knife. Scrap seeds and stringy stuff out with a spoon. Easy recipe, not quick though. Preheat oven to 400 degrees. Line cookie sheet with rim or jelly roll pan with foil. Spray lightly with vegetable oil spray/ Place acorn squash cut side down on pan. Bake 45 minutes. Turn over. Dot each with butter, sprinkle with salt and pepper, and top with brown sugar. Break each strip of bacon into 3 pieces and place across each squash half. Bake another 10 minutes. Easiest to eat with spoon. Easy recipe but takes a while to cook. You can prepare ahead and stick into the oven when it is time. Original recipe comes from Favorite Brand Name Recipes (1981). Very tasty recipe with little fuss. I find it hard to find a chuck roast now days, so I use whatever is available for a pot roast. I find heavy duty foil works fine, however you can buy foil bags which also works well. In either case I line the baking pan with foil in case the foil package leaks. Blend mustard with water to make a smooth past. Let stand 5 minutes. Place large piece of foil on shallow foil covered baking pan. ; place meat on foil. Place onions on top of meat. Blend 1 Tbsp. soy sauce with mustard paste stirring until smooth. Stir in remaining soy sauce. Pour mixture evenly over beef and onions (this is a little awkward with foil bag but doable). Fold foil over meat sealing securely. Roast in 325-degree oven 3 hours. Remove from oven and spoon off excess fat (with today’s roasts this isn’t much of a problem as it was even 10 years ago). Cut across grain (I like my electric knife) into thin slices and serve with juices. This is a great tasting barbecue sauce especially if you are not fond of ones with chili powder and/or cumin. It burns easy so I do not use it for grilling but it works well when a barbecue sauce is called for. My favorite use however is for left overs; chicken, Cornish hens, pork spareribs, or pork chops. Place meat in foil lined pan. Cover with barbecue sauce. Serve with extra sauce for dipping. If you have left over roast beef or pot roast or left over ham; shred or mince and combine with sauce to moisten for great barbecue sandwiches. In medium saucepan combine all ingredients. Simmer. Uncovered, 20 minutes.